One of the most popular types of games on desktop platforms, is the MMORPG. These games are unique, because they put all of the current players in the same game, so they can interact with each other. Usually these types of games involve completing quests, leveling up, gearing your character, competing in PvP battles, and working with friends to take down epic bosses. Today, I’ve compiled a list of the Top 5 Free MMORPGs for Android, so take a look at the list below! Number five on the list is Iruna Online, a 3D MMORPG developed by Asobimo Inc. Iruna has four different in-game “countries” for players to explore, each with it’s own unique content to conquer. 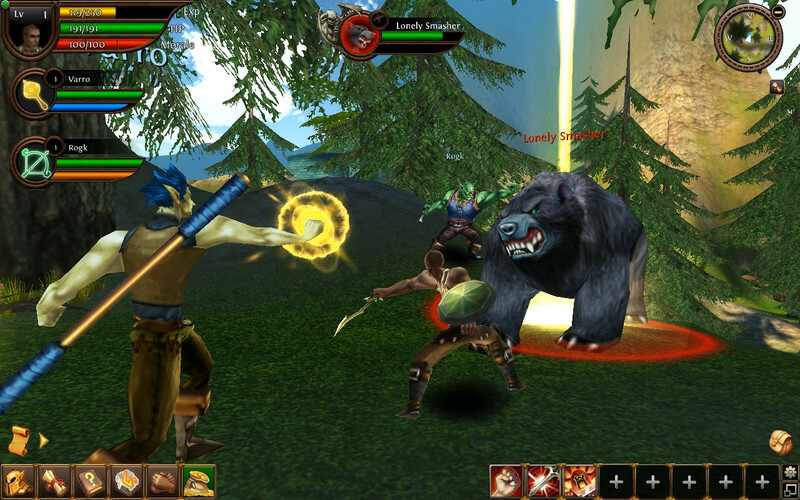 Players will battle tough monsters to level up, and work towards improving their professions (such as Warrior or Mage). Once a player has chosen a 1st tier profession, they can work on getting a 2nd tier, which makes it easy for players to explore other classes without making new characters. Overall, Iruna Online is a very solid choice for anyone seeking a Free MMORPG with good graphics and fun content. There’s a pretty decent community as well, even though the game is a bit dated. This game has an incredible amount of content to offer, and that alone makes it worthy of the Top 5 Free MMORPGs. Currently, the game has 18 classes to choose from, and a wide variety of different skills to choose from for each class. Take on your friends, as well as strangers from across the globe, in the PvP arena. You can also work together with other players to take down huge bosses to score some epic loot. 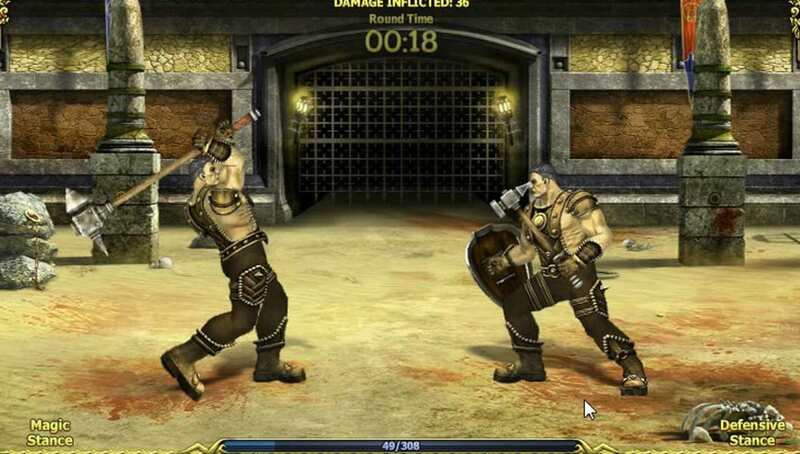 Graphically, Avabel Online is definitely not bad, although the visuals aren’t necessarily breathtaking — they are still pretty good considering this is an Android game. This is definitely a content-heavy game, but there’s also some really intense battles, for example certain PvP situations call for up to 1000 players at once. Although the graphics in Armed Heroes aren’t quite as advanced as Avabel Online, this game provides just as much content, and frankly is just more fun overall. Armed Heroes is basically a dungeon crawler MMORPG, where you can find along side allies as you progress through various instances. One of the jaw-dropping statistics of this game, is the 150,000 different pieces of equipment scattered across the game’s playing field. There are so many upgrades you can do to increase the power of your character, and honestly you’re never going to get bored of Armed Heroes if you enjoy it from the start. Coupled with a great interface that allows easy access to your skills, the overall experience of the game is fantastic — definitely one of the greatest free to play games on the Android market. Arcane Legends is the newest version of the Pocket Legends series, which was the very first mobile MMORPG to really take off on the Android market. I remember being astonished that such a thing was even available, and I played Pocket Legends for quite a while. Now, they’ve released some great updates to the game to make it more fun, run more smoothly, and appeal to more people. This game has been ranked on many prestigious overall top 10 lists for Android, so it’s no wonder I’ve ranked it at number two here. Tons of areas to explore, content to enjoy, and customization to be made. If you really can’t decide, go with Arcane Legends. I’ve mentioned a lot of great games so far, but the one that clearly stands out above the rest is Dragon Eternity. I don’t know if it’s the awe-inducing graphics, the massive exploration field, the extensive amount of items to collect and manage, or what exactly it is that makes this game so great — but I’m pretty sure it’s a combination of all of these things. Dragon Eternity boasts over 500 different monsters to encounter throughout the game, so you and your friends will have plenty to do as you work to improve your characters stats and gear. There are six PvP battle modes, and a ton of PvE content to play through as well. 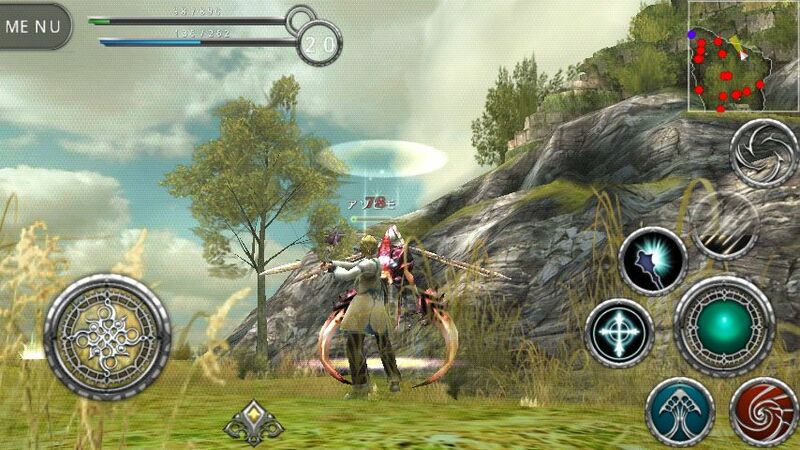 This game features 38 major areas, as well as 70 different mini-areas such as dungeons or lairs. 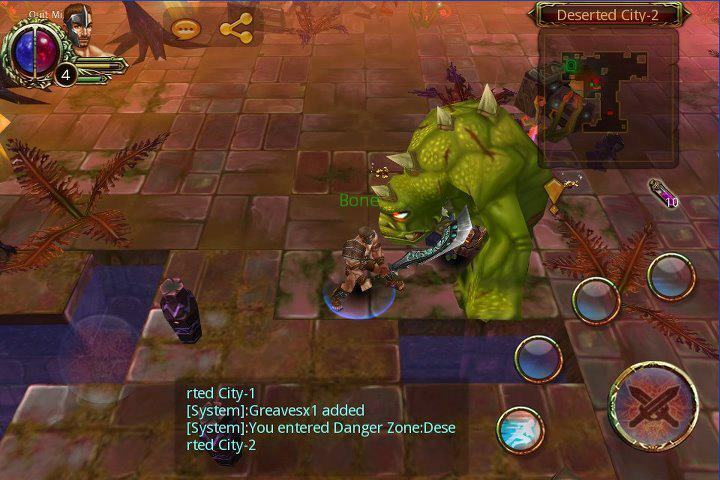 Sadly, this game couldn’t quite make the list because of the price tag that comes along with it, but Order & Chaos Online is one of the greatest MMORPGs you’ll find on the mobile market. This game seems highly based off of World of Warcraft, but you can’t really go wrong when you base yourself off of one of the highest selling MMORPG franchises of all time. If you’re willing to fork over a few bucks for an awesome game, I highly recommend Order & Chaos Online. Of course, you alternatively have five other great choices above, all of which are completely free, but sometimes you gotta pay to get the game you really want. What did you think of the list? Is there anything you would change around, add, or remove from the list? 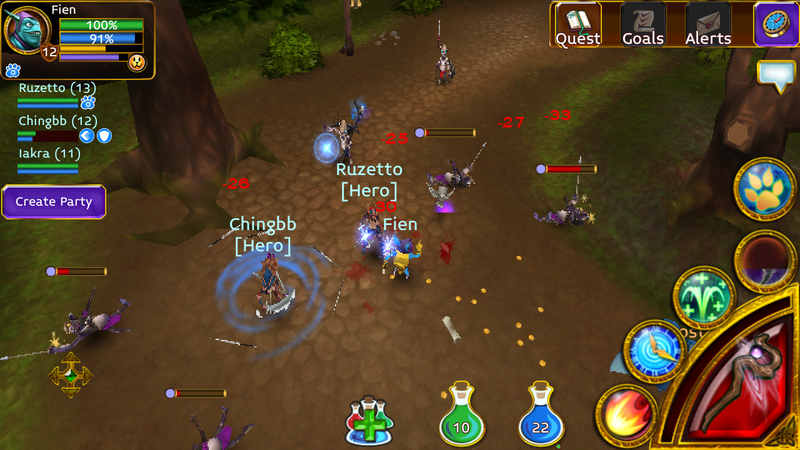 Post your comments below, and let us know your favorite MMORPG for Android.